The Slaughters Country Inn offers delicious food, simply prepared, using the finest Cotswold produce. The menu is complemented by a wide selection of local ales, showcasing the best the region has to offer. Not to be missed is the sharing platter, made up of local cheeses and meats, the day’s selection of breads and The Slaughters Country Inn pickles. 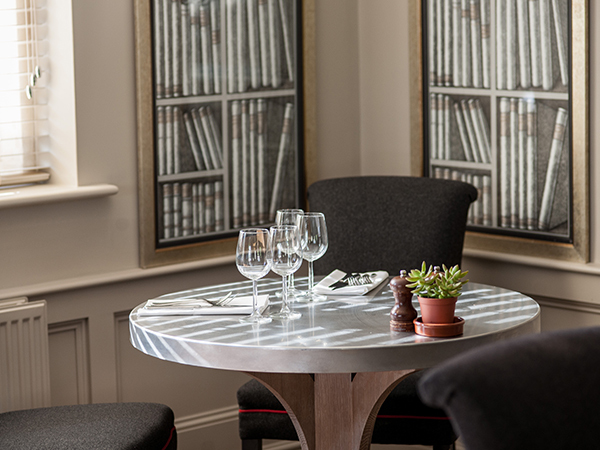 Guests can also expect to see dishes on the menu such as Gloucestershire black pudding salad, rustic country terrine and local fish and chips. Afternoon tea, including home-made scones and sandwiches, can also be enjoyed on the terrace with a glass of Champagne in the summer months or by the fire with a pot of tea when winter draws in. Treat someone special to a cosy pub dining experience at The Slaughters Country Inn with our dining & drinking gift vouchers.